Bigger Empire attacks on the Empire controlled dollar are scheduled for this summer. Yes, both sided are controlled by the Empire. 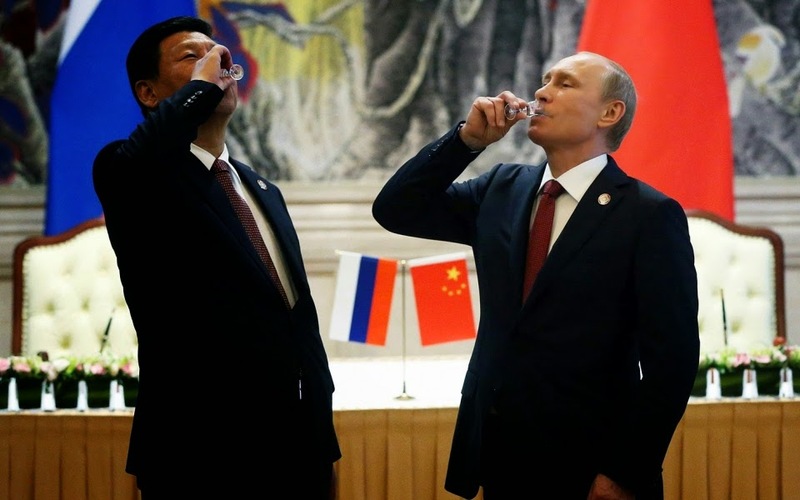 During Putin's two day visit in Shanghai, Russia and China took another small step to undermine U.S. monetary hegemony when Russia’s second biggest financial institution, VTB, signed a deal with the Bank of China to bypass the dollar and pay each other in domestic currencies. Many experts are referring to the move as symbolic. The banking deal is very small in the scheme of things, however it is a signal of intent. Both China and Russia are looking to a future where the U.S. dollar is no longer the world reserve currency, and they aren't content to wait for that future to arrive. They are working to help it along. While this particular banking deal may not be incredibly significant in and of itself, there is another deal that is in the works that could have a much wider impact. According to Reuters, the BRICS block (Brazil, Russia, India, China, South Africa) aim to finish preparations for a new international development bank by this July. The bank, which has been in the works for several years now, aims to provide an alternative to the IMF (The United States is currently the dominant shareholder of the IMF). While the new bank is being presented as a means of facilitating investment within the BRICS block, If Brazil, Russia, India, China and South Africa are able to establish a stable financial network that bypasses Washington and the Federal Reserve, it would not only make it impossible for the U.S. to bully any one member (i.e. Russia), but it could also open the door to dollar free energy exchanges... exchanges like the one that Russia has announced it will open this June.